HHT Bhutan Druk Path 2019! NAMASTE ! 2019... A Time For Adventure! NOW IS THE RIGHT TIME. CALL OR EMAIL TODAY! GRAB YOUR BOOTS.... IT'S TIME TO GO! 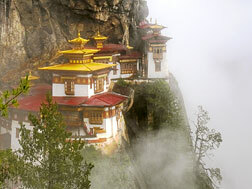 Overview: Join us on this wonderful adventure in Bhutan. This short trek provides an excellent opportunity to enjoy the scenery of the high Himalaya from a foreground of mountain lakes and deep rhododendron forests. The route, from Paro to Thimphu, was the main trail between the two towns before the road was built. 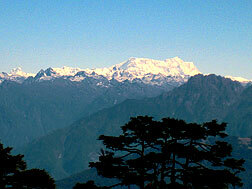 The highest point reached is 3,800 meters (12,500 feet). Five days are needed to complete the trek. Though at high altitude, the hiking level is considered moderate. 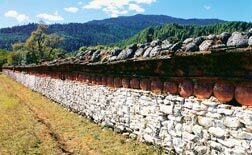 You will enjoy Bhutan's culture as you tour the high points of interest. Facilities in Bhutan are good and this will be a comfortable trip. Travel to Bhutan can be tricky with only one small airline operating into Paro's airport. Be prepared for minor changes and delays. With a positive and flexible outlook, you will enjoy the challenge of this trip creating many fond and unique memories along with wonderful pictures.. Leadership: Our Trek Leader is Marin Johannsson. Our Leader is Marin Johannsson. She holds a B.S. in Recreation with a special emphasis in Outdoor Leadership. Marin has taught rock climbing, snow camping, rafting and canoeing. Trained in first aid, she has led many treks for us since 1990. 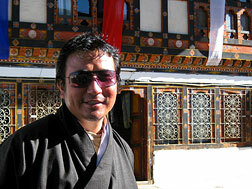 When not on the trail, Marin also is a rafting guide and collects Tibetan Thangka paintings. Marin works closely with our local guide and dedicated staff members (cook, porters and assistants) to make this special trip a complete success. Ask us for references if you would like to talk to people who have traveled with them. In the event that this trip is undersubscribed with four or less participants, the group will travel in the care of our local, English–speaking, Bhutanese guide. 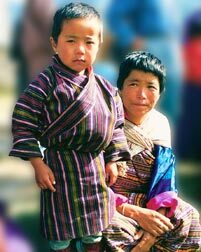 Pre Trip Days: Fly from your home country to meet together in Paro, Bhutan. Remember, people in the Americas 'lose' one day when crossing the international date line. If you wish to arrive early or depart late, we can help with accommodations and support for you upon your advance request. Post Trip: It's a same day return for Americans crossing the international date line. Important Note: This is meant only as a general guide to the schedule of our days. Changes can be made as we go along, based on local conditions, acclimatization, health and fitness levels. Ascents and descents listed in this itinerary are approximate totals. The exact amount will vary considerably and is impossible to measure accurately. The times and elevations given here are rounded off. This is a moderate trek and fully–supported. It is enjoyable for people who are active and enjoy the outdoors. Travel Details: You are welcome to travel early or stay for extra days at the end. 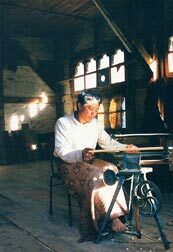 Additional days in Bhutan can be arranged upon request and include transportation, accommodation, all meals and an English–speaking guide. Advance notice is necessary. Please see our Policy section for complete information on our trip cancellation policies. Payment for additional services may be required at the time the service is received. All prices mentioned in this document are in U. S. Dollars ($USD). Please refer to the booking information section of our application form for more information. Passport, Visa(s), Physicians Visit, Emergency Medical & Evacuation Insurance, Travel to/from Paro, Meals Beyond Above Itinerary, Beverages, Spending/Personal Money. Moderate: Usually involves hiking an average of four to six hours each day — with some trekking time being spent at high altitude. 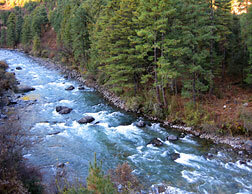 Accommodations consist of evenings spent at tea or guest houses and tent camping along the trail.